Players take on the roles of prisoners, wrongfully incarcerated in the depths of The Dark Castle. Whether it’s the Abbot, the Tailor or any of the six playable characters, each prisoner is represented by a character card and a custom character dice showing that prisoner’s unique endowment of Might, Cunning and Wisdom – the game’s three traits. 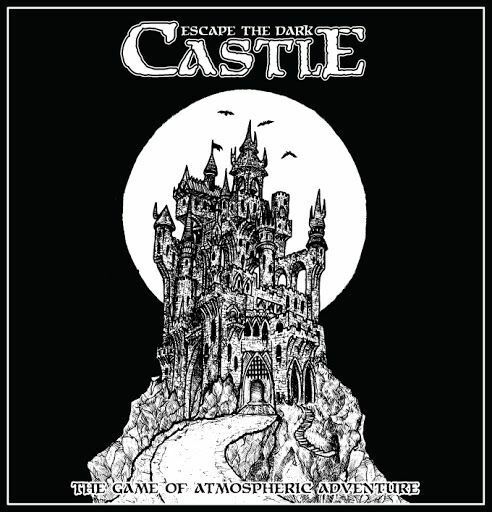 Embarking on a desperate quest to escape, the players must work together using custom dice and item cards to overcome the castle’s many horrors, traps, and challenges – each of which is represented by a large, illustrated chapter card. At the beginning of each game, 15 of these chapter cards are drawn at random from a larger deck to create a unique castle every time. The goal of the game is for the group to complete every chapter in the castle deck, then defeat the final boss. To win, they must keep every member of the team alive – if any player is killed the game ends immediately.